HURRY! Time's running out to get YOUR Diabetes Medical ID Card. Please note you can order a FREE type one or type two card. A NEW Medical ID card for type 1 and 2 diabetes is leading the way for diabetics that carry emergency ID. HURRY! You can get one of our Diabetes Medical ID Cards totally free (RRP £19.99) - this offer ends soon so act NOW. Complete your details below. ​Complete your details below and confirm your address on the next page and we'll send you a Diabetes Medical ID Card through the post. 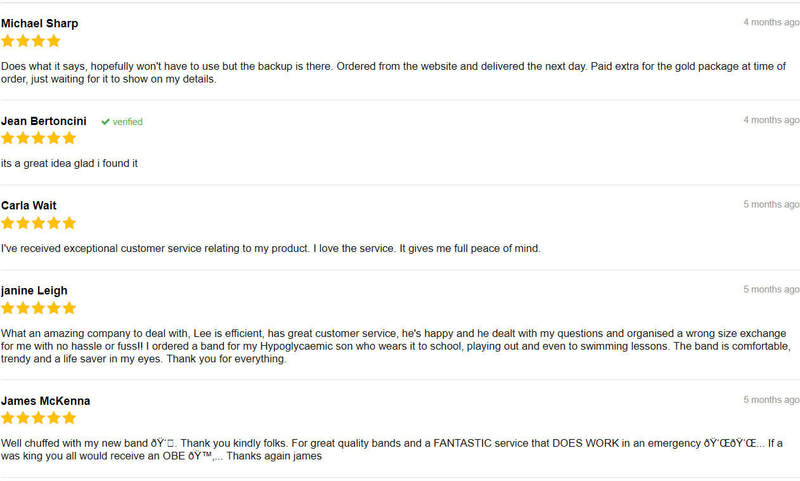 There's absolutely nothing to pay for this product - we cover the shipping too. Here we demo a wristband. Our cards work the same. Offer applies to Diabetes type one OR type two cards. Do you have Diabetes Type One or Type Two or do you know someone else who does? Do you ever worry about what could happen if you/they have a hypo whilst out and about or alone? Leading diabetes organisations agree that it's a very good idea to carry emergency medical ID and strongly recommend people with diabetes do so. The Diabetic Medical ID Card was created after we heard of numerous cases where the contacts (eg. spouse, family or next of kin) of diabetics who had received emergency medical attention had not been contacted promptly, if at all. 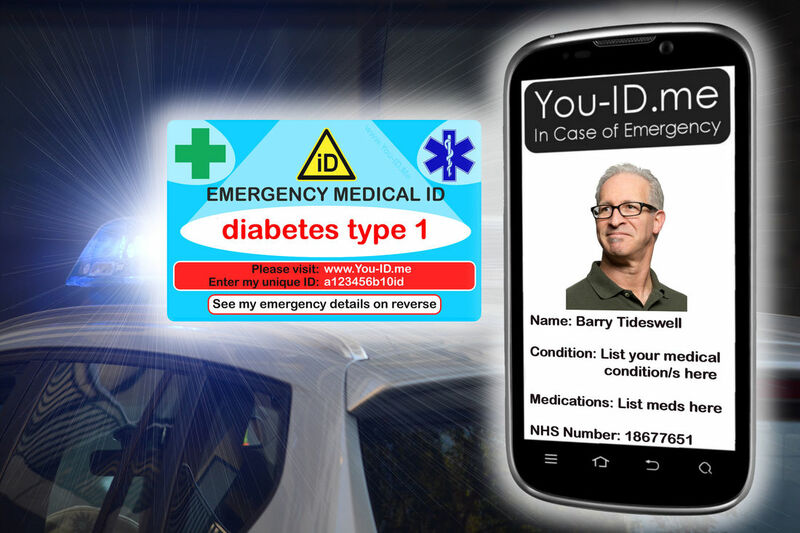 This shocking information led us to create the UK's first emergency medical ID card for diabetics that informs paramedics / first responders about the person's vital medical details AND can simultaneously send an alert message to the emergency contacts of the diabetic (spouse, family etc.) to let them know immediately of the problem. The system can also 'bridge the gap' between the diabetic's emergency contacts and the first responder, so that the emergency contact can speak to someone who could inform them quickly about the situation. It's simple. When you receive your Diabetes Medical ID Card you activate it by registering the unique 12 digit ID number printed on your card. You can choose what information you would like to be seen by a paramedic or first responder in an emergency. You can also optionally select which of your emergency contacts will receive an alert should you have an emergency. 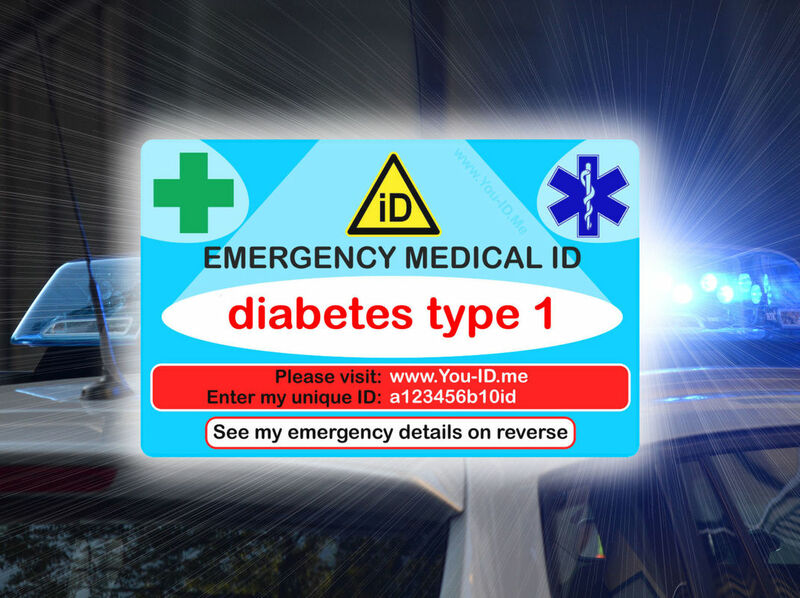 For a very limited period we're offering a certain number of UK diabetics the opportunity to get hold of one of these incredible Diabetes Emergency Medical ID Cards with free-for-life access to the You ID Me Gold Plan. You can update your information at any time. 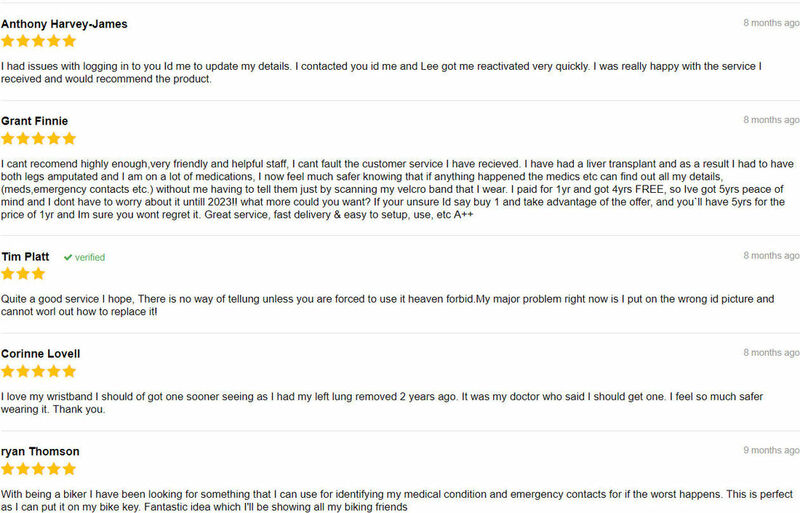 So, if your medication changes you can simply log in to update your profile. It's easy. It's amazing technology which is simple to use. Best of all...? If you act fast you won't need to pay a penny. Not even for postage... just complete the short form above! You can order a FREE Diabetes Type One or Type Two Medical ID Card in our giveaway. But you'll need to act fast! 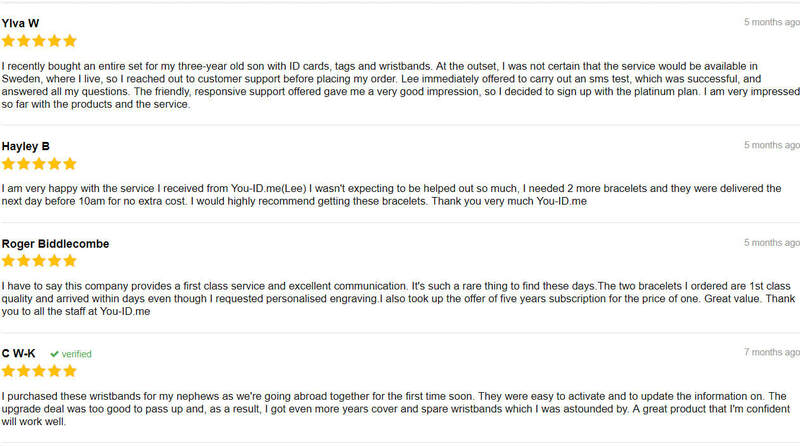 With over 5000 subscribers to the You ID Me service we've had plenty of conversations with many people with diabetes. 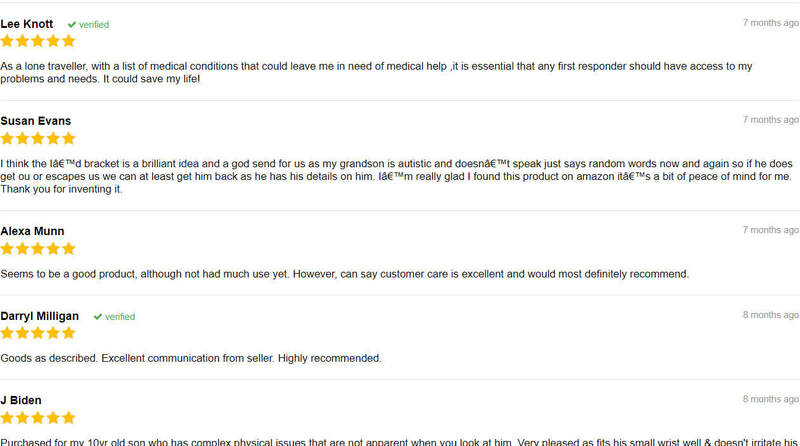 Below are JUST A FEW of the reviews from customer that use our medical ID products/service. And there are many, many more. We think there are enough here for you to see why you can't afford to miss this FREE offer for a Diabetic ID Card. So Are You Ready to Order Your FREE Diabetes Medical ID Card That Will PROTECT You in Case Of Emergency? 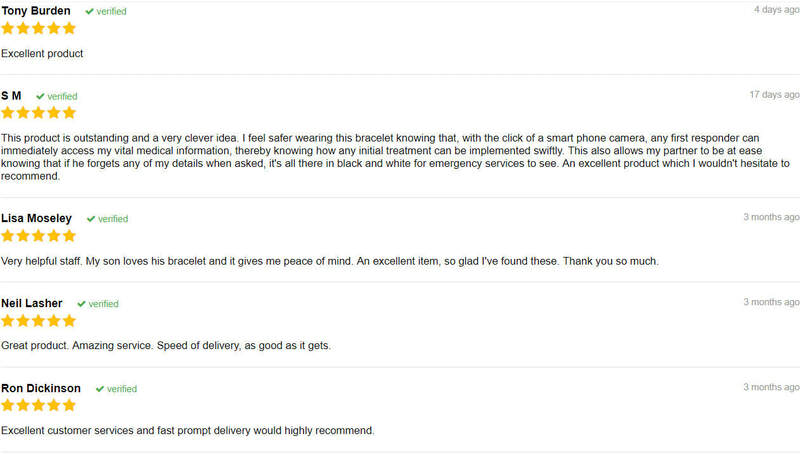 ​Order NOW with confidence. Complete your details below. Confirm your address on the next page and we'll send you a Diabetes Medical ID Card through the post. There's nothing to pay for this product - we cover shipping too. 100% FREE (usually £19.99) . No Payment Details Required. Your one time offer will close soon.